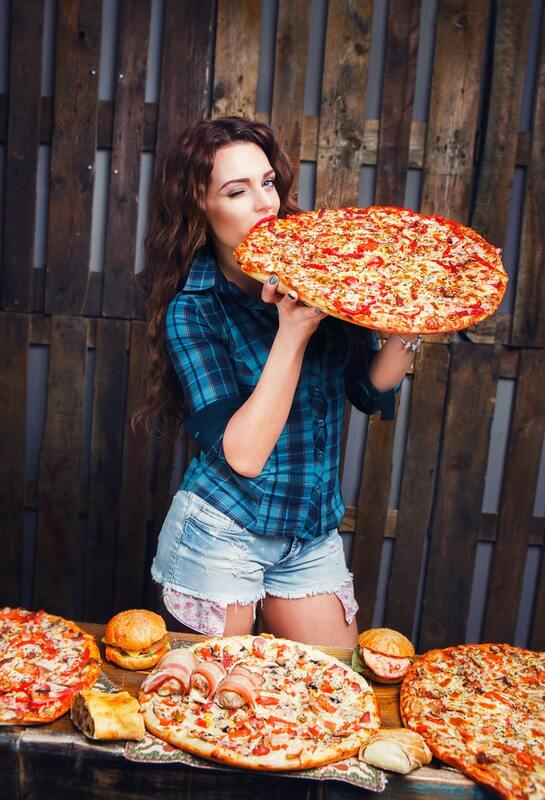 For most people, overeating isn’t something they do intentionally. In fact, the majority of people overeat every day simply by misjudging their serving sizes! Restaurants don’t make it any easier. They offer large plates for relatively low prices, which makes it nearly impossible not to overeat just because it’s in front of you. Other people turn to food when they are emotionally upset or bored because it can be comforting. Your body may also crave more food than you really need if you’re deficient in certain nutrients or have digestive problems that make it hard for you to absorb nutrition. Whatever the reason is for overeating, it comes with scary consequences. 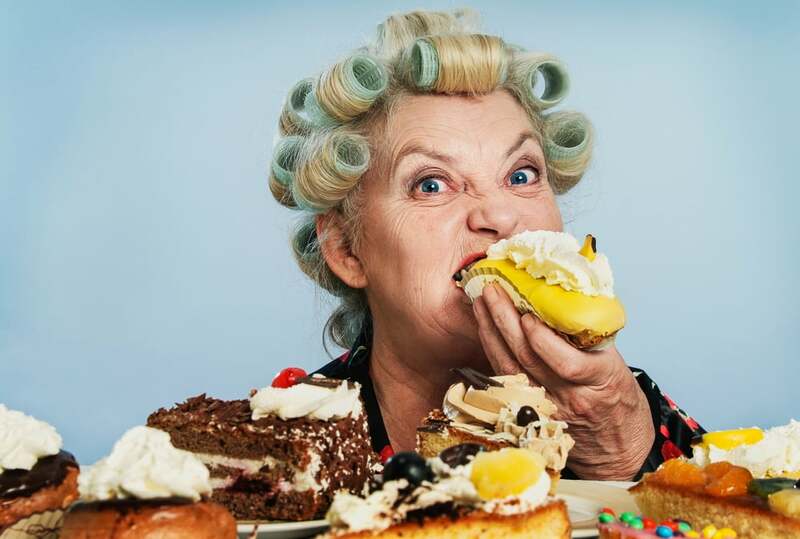 Here’s what happens to your body when you overeat and tips for putting a stop to the madness. Sure, eating a few extra calories here and there isn’t a big deal, especially if you’re active. You can easily make up for it the next day by not eating as much. But what happens when you overeat daily at every meal? 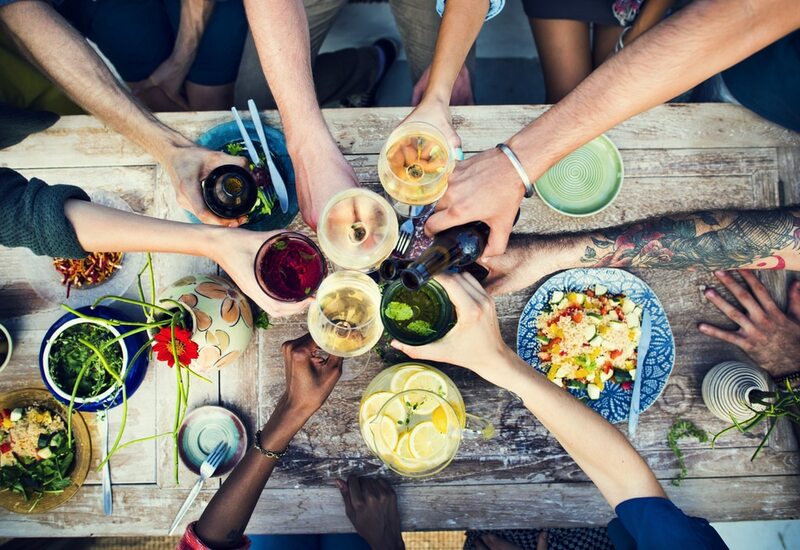 Whether it’s intentional or not, your eating habits can greatly impact your health. Most people tend to overeat foods that are easy to indulge in. Let’s face it. No one overeats vegetables or a salad. So what’s the most satisfying food you can think of? It’s probably very likely to be something that is high in carbohydrates, like pizza, tacos, or a greasy burger and fries. 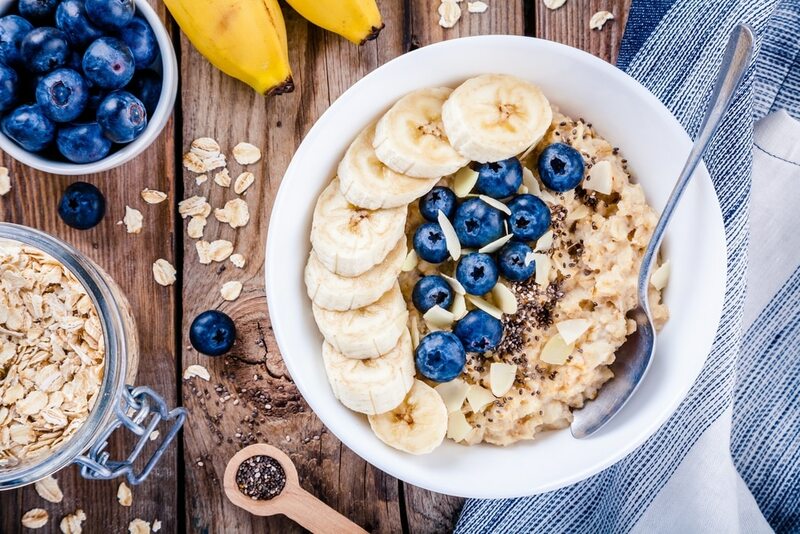 When you overeat carbs, your body has to work harder to produce enough insulin to deliver the glucose from your blood to your cells where it can be used as energy. 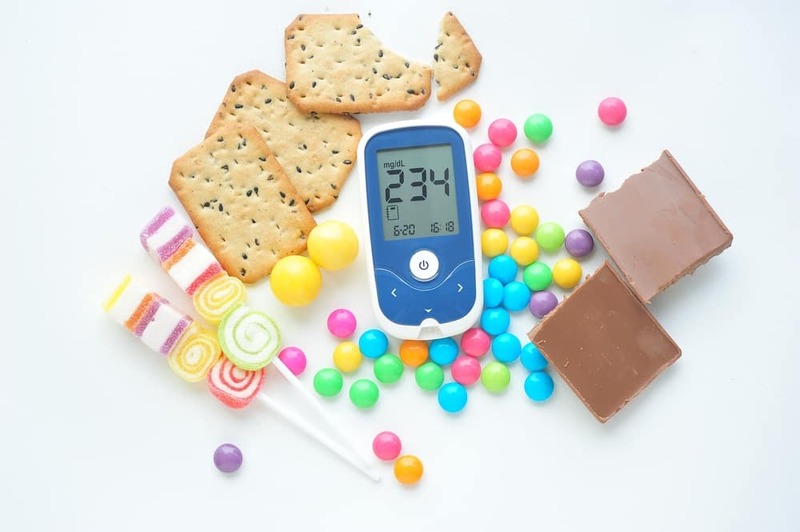 If your body can’t get your glucose to your cells fast enough or it has a hard time producing enough insulin, then guess what happens to your blood sugar. You guessed it. It goes up! And what goes up must come down. When your body does finally transport all of your glucose away from your blood, you will inevitably experience a sugar crash or a drop in your blood sugar levels. To make up for this drop in blood sugar, your body craves more sugar that can replace your falling levels. 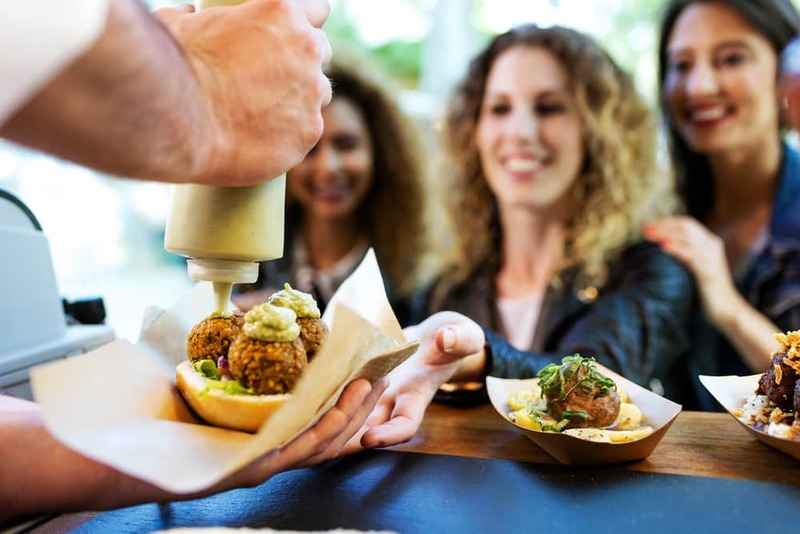 But when you eat smaller meals that are portioned better, your body can deliver the perfect amount of energy to your cells without spiking or crashing. Speaking of blood sugar levels, did you know that insulin is basically a fat-storing hormone? As mentioned above, it delivers glucose to your cells. But when happens when you overeat? Your cells can only take in so much glucose. The rest is delivered to your fatty tissues where it is deposited and stored as fat until you can use it for energy later. But if you never use this energy and just keep adding more on to the pile, then imagine how much fat you accumulate just by eating too much. Have you ever noticed that all you want to do is take a long nap after eating a big meal? That’s because you’ve put so much stress on your organs by overeating that they have to work overtime just to digest your food. Keep in mind that mealtime is not a time to stuff yourself so full that you can’t function any longer. Food’s just is to supply you with energy and nutrition. When you eat too much of it, all of your energy must go to your digestive system to try to break down this meal as quickly as it can so you can go back to your normal, human ways. Taking a nap might not sound all that bad, but it’s never good when it’s in the middle of your day, and you have responsibilities to handle. Is there anything worse than the way your stomach feels after you eat too much? We think not. When you overeat, it causes your stomach to bloat and expand much like a balloon to accommodate the large amount of food you just ate. The swelling pushes against your other organs, which makes your entire abdominal area uncomfortable and feel like you need to unbutton your pants. To a certain extent, everyone gets gassy from time to time. But it’s not normal. Intestinal gas and bloating is your body’s way of saying, “Don’t eat that.” Or sometimes, “I don’t mind that you’re eating this but don’t eat too much of it.” Think about this. Every time you swallow food, you’re letting air enter your gastrointestinal tract. This air causes your digestive system to expand, which makes you feel bloated. So where does this air go? It needs to be pushed out of one or two ends (we’ll let you figure out where), which makes you a less than pleasant dinner guest to sit next to. When you eat more than what your stomach can hold, it tends to back up in your esophagus, which causes heartburn. That burn you feel is from hydrochloric acid, which is an acid in your stomach that is needed to break down your food. 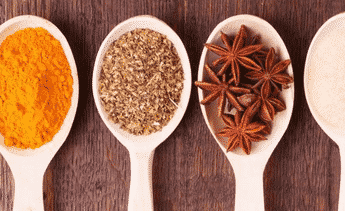 The more you eat, the more of it is required to break down your food, and sometimes you can feel a burning sensation in your heart due to the backing up of stomach acid that you can quite literally taste in your throat. Sure, you can take an antacid to calm down the stomach acid production, but your stomach needs this acid to break down the meal you just ate. So you’ll be working against it by toning down the acid. The best thing to do is to avoid overeating in the first place. Anyone with a hormone or thyroid problem knows how easy it is to throw your hormones out of whack, and a big meal can do just that. Leptin is a hormone that your fat cells make. Its job is to control your hunger cues. When you eat too much or too fast, you could miss the signal that leptin is trying to get to your brain by telling you, “Hey, stop eating! I’m full!” This causes you to make produce more leptin until you finally start to listen to your hunger cues (by then, it’s usually too late). Eventually, your body begins to give up and starts to become resistant to your leptin levels, which makes it harder for you to recognize when you’re full. Weight gain has also been linked to hypothyroidism, which is a condition that causes your thyroid to become sluggish and produce less than ideal amounts of hormones that are needed to help your body stay in rhythm. A sluggish thyroid usually leads to more weight gain, so it’s a cycle that needs to be addressed by eating smaller portions of healthy meals to stop the damage in its tracks. If you eat in an attempt to cope with loss, boredom or sadness, then you’re not really doing yourself any favors. First off, you’re not addressing the cause of the problem. If you’re feeling sad, then ask yourself why. Meeting with a therapist or getting to the root cause of your problems is always a better solution than trying to cope with your feelings by eating. Maybe a breakup or the loss of a loved one has got you down. Try talking it out with friends or getting in some exercise to sweat it out. The worst thing you can do is turn to food because it teaches you to rely on food for more than just nutrition. It becomes an outlet or a source of comfort. And while you should most definitely enjoy your food as well as the cooking process, it should never take the place of emotional support when you need it. 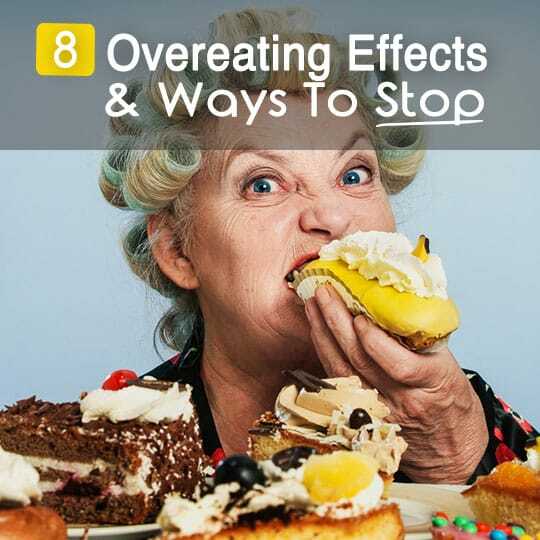 Not that you know the dangers of overeating, it’s time to learn how to put a stop to them. As mentioned earlier, most people aren’t even aware that they’re doing in the first place, which can make it a hard habit to stop. But these tips serve as a good reminder for everyone at mealtime, not just those who suffer from overeating. Getting your portion sizes right sounds easy enough, but it’s not. Think about every time you go to a restaurant or order food from somewhere. The portion sizes are humongous! This is because food suppliers know that most people care about value over quality, so they will go where they can get a lot of food for a small amount of money. But this thinking is backward. You should be more concerned about the quality of what you’re eating and less concerned about how much of it you eat. And as the saying goes, you get what you pay for. A good rule of thumb to use at restaurants is to cut your order in half. 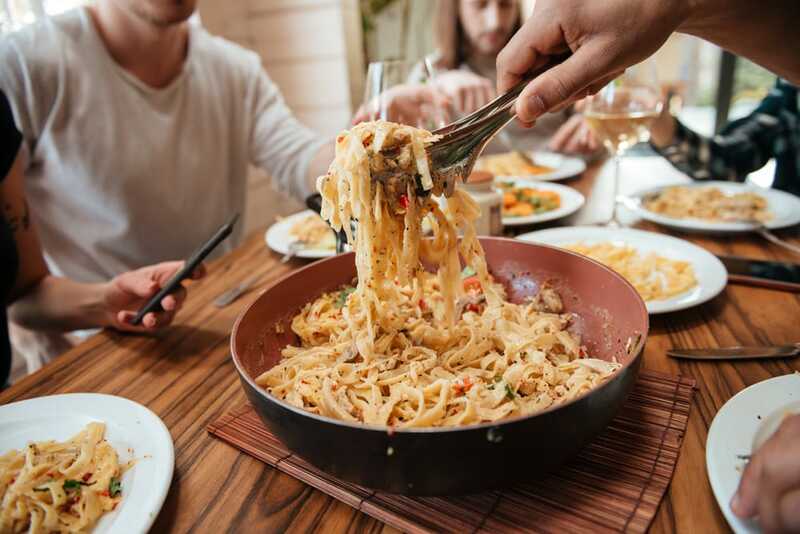 If you’re going out to dinner with friends, have the waiter or waitress bring half of your order on a plate and the other half in a to-go box, so you’re not tempted to eat the whole thing at one serving. Bonus: you’ll have a tasty lunch for the next day. It also helps to remember what a true portion size is based on what you’re eating. For a quick and easy way to remember portion sizes, use your hand! For meat, one serving is about three ounces or the size of your palm. Your cupped fist measures about the size of a cup, so keep this in mind for the following. One serving size of pasta, cereal or rice is half of a cup or half of the size of your fist. A piece of bread is one serving size, so when you eat a sandwich, you’re actually eating two servings. Try cutting your bread in half or asking for a lettuce wrap instead. Your thumb measures about one ounce. This comes in hand when measuring the serving size of cheese, which is two ounces. If you’re snacking on raw nuts, keep it to the size of a handful, which is about one to two ounces. When it comes to fresh fruit and vegetables, eat as much of these as possible and don’t worry about serving sizes! It sounds like a silly tip since most people only eat when they’re hungry, right? Well, not exactly. Some people eat because they’re bored, sad, angry, feel rejected, or they simply feel socially obligated to. These are the worst times to eat because you’re more likely to pack on the calories when you’re not really hungry. Before you sit down to eat a meal or even to do some mindless snacking, ask yourself if you’re really hungry. Take a minute to check in with yourself. When’s the last time you ate? What did you eat? Was it filling? When is the next time you’re supposed to eat? You might be surprised to find that you’re only snacking or eating because you’re bored or simply because it’s right in front of you. Don’t eat under these circumstances! Instead, try drinking some water to help keep your stomach full and enhance the digestive process. Go for a quick walk or even just step outside for a minute to distract yourself. Address whatever the reason is that you feel the need to eat and never give in if you’re not truly in need of food. You can do a world of good for your health by changing the things you eat. As far as some nutritionists are concerned, changing the foods you eat is more important than counting calories. This is because when you eat real food from natural sources, you’re filling your body with fiber, antioxidants, and vitamins and minerals that truly satisfies your hunger. 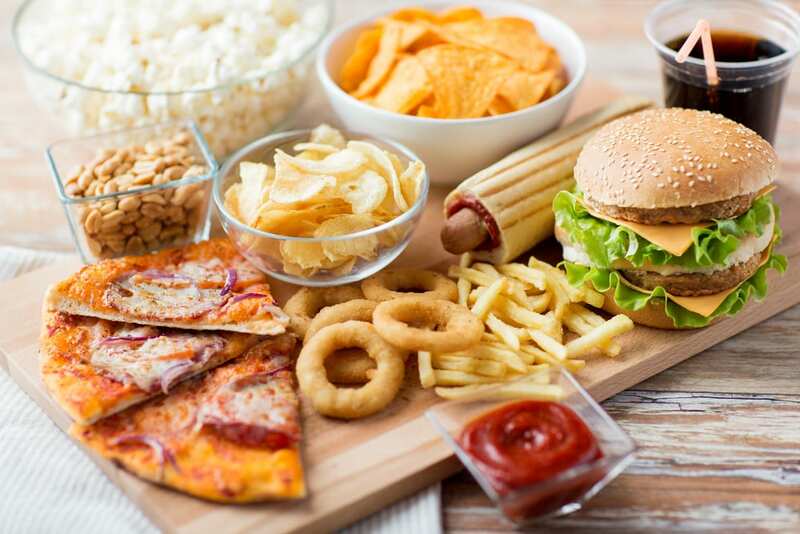 But when you eat processed foods, fast food or refined ingredients that have been stripped of their nutrition, you’re setting yourself up for inflammation, weight gain, and obesity, among other conditions. Focus your attention on eating whole, unrefined foods whenever possible, such as lean meat that has been raised without hormones or antibiotics, organic fruits and vegetables, healthy fats, and sprouted whole wheat grains. Aim for a little bit of each at each meal. Try a bowl of oatmeal in the morning made with one-half cup dry oats. Top it with blueberries and banana slices and a teaspoon or two of flaxseeds. Have a big green salad for lunch and top it with lean protein like a chicken breast and as many non-starchy vegetables as you want, such as cucumbers, carrots, tomatoes, onions, and broccoli. Make your own dressing with olive oil and red wine vinegar or a freshly squeezed lemon. For dinner, try some wild caught fish for omega 3 fatty acids, a cup or two of steamed vegetables, and one serving of sprouted grain rice. Keep your hunger in check throughout the day by snacking on a handful of raw nuts in the mid-morning with some fresh fruit and then some hummus and carrot and celery sticks in the afternoon. 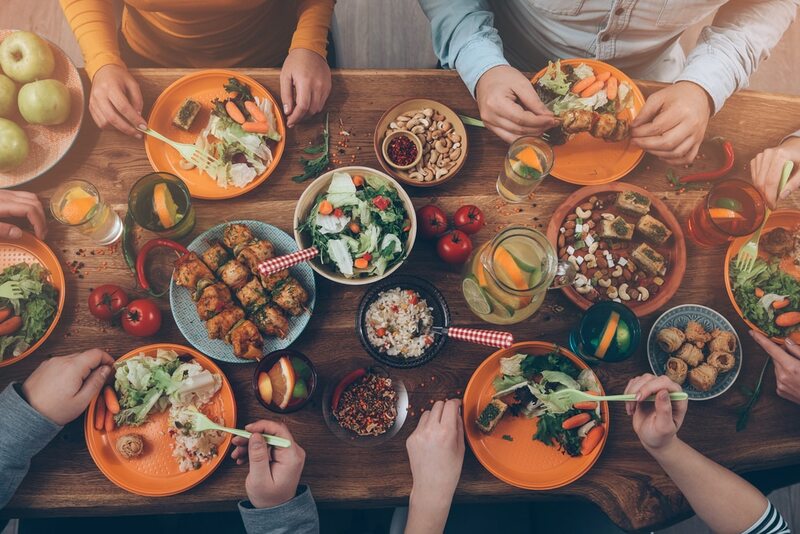 When you eat this way, you’ll be less likely to overeat at mealtime because you’ll finally be addressing your nutritional needs and not just your emotional cravings. You also won’t need to be as picky about serving sizes when you eat whole, unrefined food, which takes some of the pressure off and allows you to enjoy your meals as you should. Foods that are high in refined sugar go down easily because there is no fiber or vitamins and minerals to help you feel sustained. 4. Get It Out Of Your House! Most people have no trouble eating normally outside of the house. The problem is that when they come home, they feel comfortable enough to indulge. You might not even be aware that you’re doing in. Make sure you purge your kitchen and pantry and remove all foods that are easy to overeat, such as chips, crackers, candy, or anything that comes in bulk or a bag and is ready to eat. The worst thing you can do is eat while distracted, so make sure you eat at the table and not in front of your TV or computer screen. If you stock your house with healthy foods, then guess what you’ll be more likely to eat?